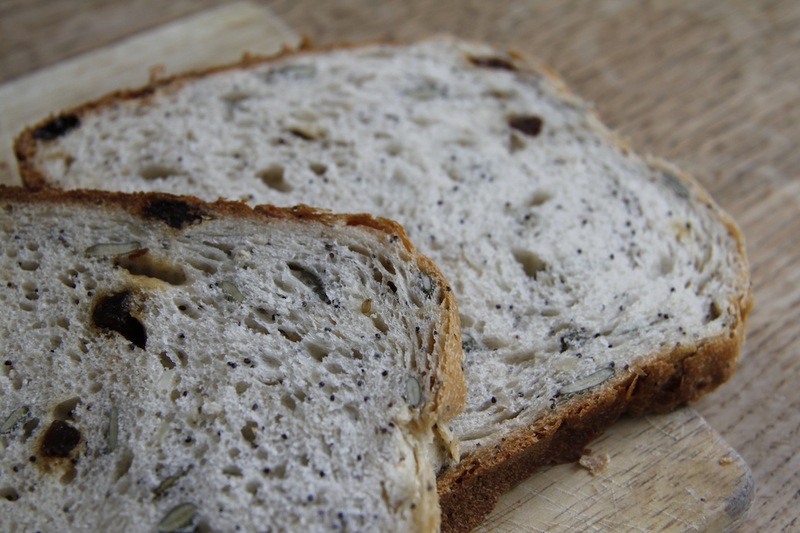 I have seen the light – I am a convert to putting seeds in bread. I can’t believe it took me so long, although to be fair I resisted having a video recorder for years on some spurious premise only to find when I finally relented, how wonderful it was to be able to watch a film at home and not have to wait for it to be shown on tv, never mind the whole thing about bring able to record programs! Anyway, I make my own bread – the easy, lazy way in a bread maker that my lovely (other) neighbour Shirley gave me. After all I have a full time job separate from the campsite and small holding, and the sour dough starter that I was given is not looking so good – more on this later. 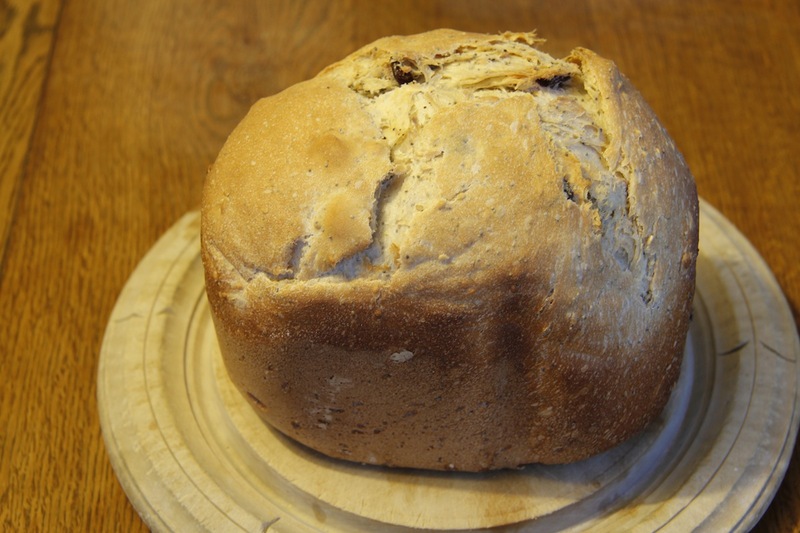 My friend Juliet has talked for ages about making lovely bread with nuts and seeds in – I love bread with nuts and seeds in, but for some reason I have been incapable of adding my nuts and seeds to the nut and seed dispenser in my machine – so we havealways had plain white bread. However, last week I did it. I added nuts and seeds – namely poppy, sesame, pumpkin seeds, flaked almonds and raisins. I also substituted honey for the sugar I usually add. It was delicious. The only thing I would change is to add more nuts and seeds. 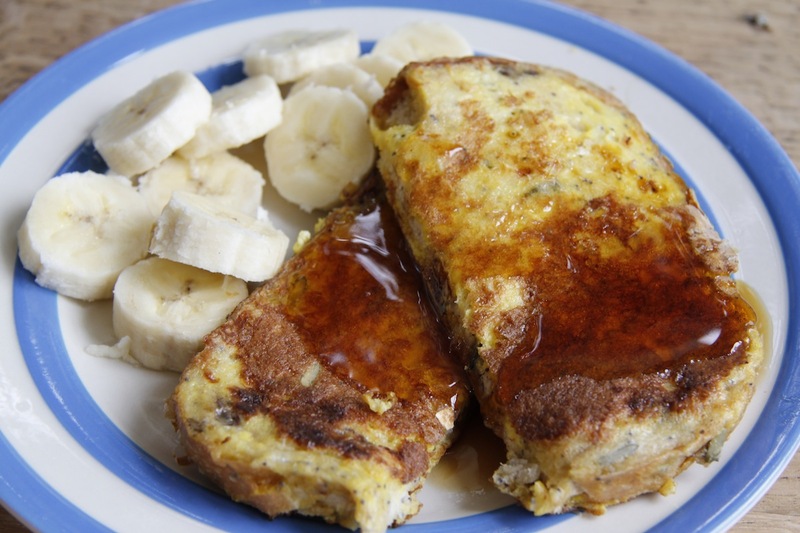 On Sunday, I made eggy bread (aka French toast) with the bread and our eggs. I soaked slices of the bread in lightly whisked bantam eggs (most people don’t want to buy bantam eggs as they are small, but they are great for baking as the ratio of yolk to white is higher than in regular eggs), then fried them in butter and served them with banana and maple syrup – yum yum. N.B. Since I started my seed adding venture we have had bread with pumpkin seeds and whole almonds (lovely) and we are currently eating sunflower and apricot – there is no stopping me now!